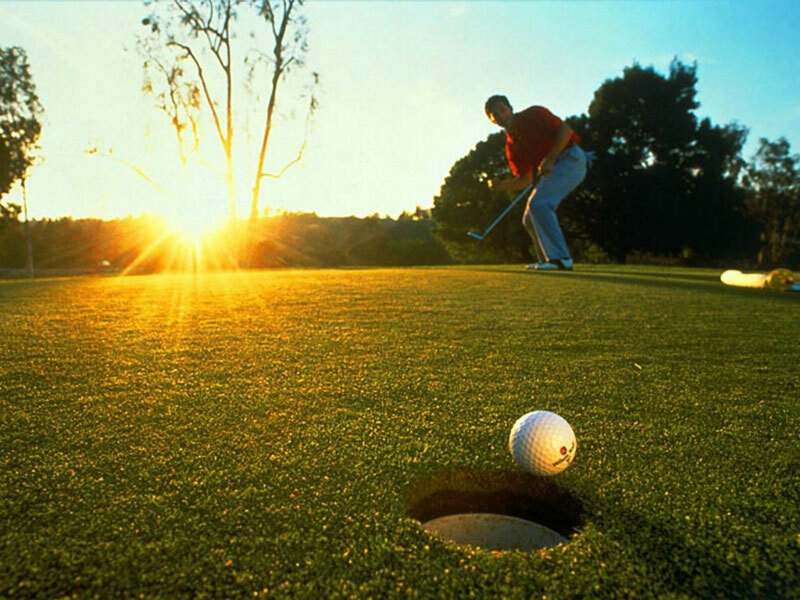 The continued development of golf courses on Hainan is fast establishing the island as one of Asia’s best golfing destinations. Peering out the window upon descending into Hainan’s capital Haikou, the first thing that strikes you is the open expanse of greenery pocketed with plots of red soil and uncontained vegetation. At this stage, it hardly resembles Augusta, yet in less than a years time Mission Hills Hainan will be known as the largest collection of golf courses in the world. The project is of a magnitude unprecedented on China’s island province, occupying 80sq km of forest and shrubland – an area the size of Hong Kong island. In the works since 2006, once completed, it will feature 22 golf courses, at a stroke doubling the number on Hainan today. Having travelled to Hainan in late 2009, some of the courses were already nearing completion, with the end product beginning to take shape. Nine golf courses, including the showpiece "tournament course", look perfectly playable. Incorporated into the design are old, overgrown lava-rock walls and archways left over from the land’s previous occupants, along with some mature lychee, ficus and acacia trees that managed to elude the clear-cutter. The result is a landscape that looks like it has been there for decades, maybe centuries, not months. A drive along the cart path, made from crushed lava rock, has the flavour of a Jurassic safari – that is, until you see the massive hotel and clubhouse looming on the horizon. It is all remarkably telegenic, and by design. The talk is that in 2011 the Mission Hills Hainan tournament course will become the new location for either golf’s Omega-sponsored World Cup, currently a fixture at Mission Hills Shenzhen, or of the HSBC Champions, the tournament dubbed "Asia’s Major". That event, with $7m in prize money, draws some of the biggest names in the sport and has been held in Shanghai since its launch in 2005. Professional Golf Association representatives, I was told, have toured Mission Hills Hainan. And Ken Chu flies in every two weeks to monitor progress on the project. In reality, this will be the world’s only self-contained golf city. Its 22 courses will cover every style imaginable – from links to desert to Augusta-like perfection – and include some decidedly non-traditional designs. Picture yourself playing into a waterfall, through a cave, around a volcano, or over a replica of the Great Wall. There will be multiple town centres with luxury homes and apartments, hotels and spas, shopping malls and streets lined with restaurants and bars. The Chus are turning countryside into suburbia, no doubt raising surrounding property values and creating thousands of jobs along the way. While the relentless development of Hainan’s future courses continues unabated, it must be noted that the island has a golfing heritage that extends back more than a mere few years. 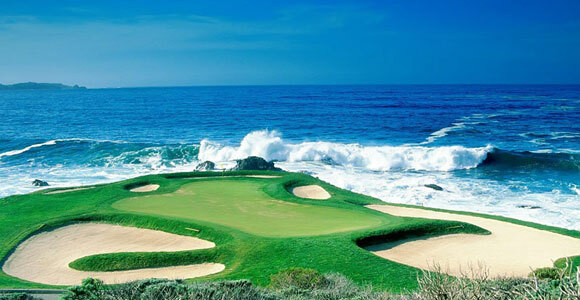 One of the established courses on the island is the Sanya International Golf Club. Opened in December 1995, it was the second golf course built on the island and is a true visual treat. Ringed by a distant of low but heavily forested jade green mountains, the natural rolling contours of the sprawling site, a half and hour outside Sanya, the main city of southern Hainan and the islands main resort city, were enhanced to intensify the course’s challenge and appeal. A half dozen significant water hazards were incorporated into the well blueprinted layout while ample amounts of local powder sand were dropped here and there. The overall impression is one of spaciousness. But with a salt scented humid breeze rustling through the many still maturing palms, you don’t get the feeling that you’re in China as the surroundings in many ways are more like those seen in Hawaii. Hainan is actually on the same latitude as America’s only island state, and many of the locals refer to the island as "The Hawaii of the Far East. There certainly are some similarities with Hawaii," said Michael McCoy. He should know because immediately prior to his appointment as the Head Golf Pro at the Sanya International Golf Club, he was employed at the Makalei Club in Hawaii. While a negligible percentage of the population plays golf, China is one of the few places in the world where golf course construction is booming. "Everyone who is even thinking about golf course design is here in China," said Haikou-based Richard Mon, vice-president of China operations for Schmidt-Curley Golf Design, the US company behind all 34 of Mission Hills’ China courses. "If you’re not, you don’t have any work. Everywhere else in the world is done." Golf in modern China is in its infancy – the game here is still four years younger than Sergio Garcia – and the speed of its growth will no doubt be accelerated by its inclusion in the 2016 Olympics, a move that should give the sport some legitimacy in the eyes of the once-sceptical Chinese government. Hainan bills itself as China’s greenest province, and in many ways it is the tropical paradise it is touted to be, a literal breath of fresh air for those travelling in from the mainland – and soon to be Asia’s golfing capital.